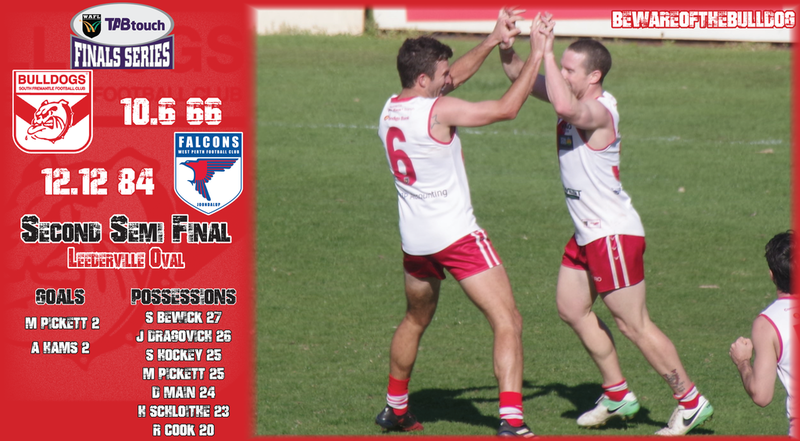 SOUTH Fremantle put in an encouraging performance despite losing Sunday's second semi-final to Subiaco at Leederville Oval with the Bulldogs still to have another chance to win their way into the 2018 WAFL Grand Final. South Fremantle threw down the gauntlet to Subiaco kicking five goals to one in the opening quarter with the Bulldogs still leading by 10 points at half-time. But the Lions came out and kicked the first four goals of the third quarter and seven goals to three throughout the second half to record the hard fought 12.12 (84) to 10.6 (66) victory. The win means that Subiaco remains undefeated in 2018 having won all 19 of its matches to have qualified for the Grand Final at Optus Stadium on Sunday September 23. It will be the Lions' fifth successive WAFL Grand Final as they attempt to make up for the losses to Peel Thunder the past two years. South Fremantle put up a strong fight without ruckman Brock Higgins who was a late withdrawal and then losing defender Steve Verrier early in the match to injury. 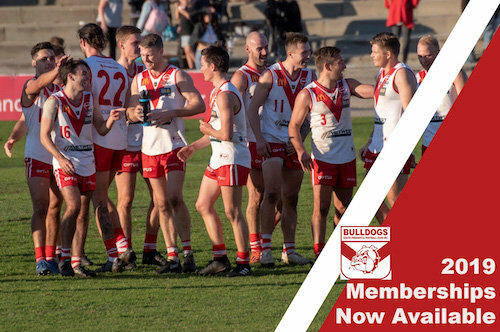 The Bulldogs have a second chance to qualify for the Grand Final, though, hosting West Perth in this Sunday's preliminary final at Fremantle Community Bank Oval. South Fremantle has won its past nine matches against West Perth including by 98 points in the qualifying final. 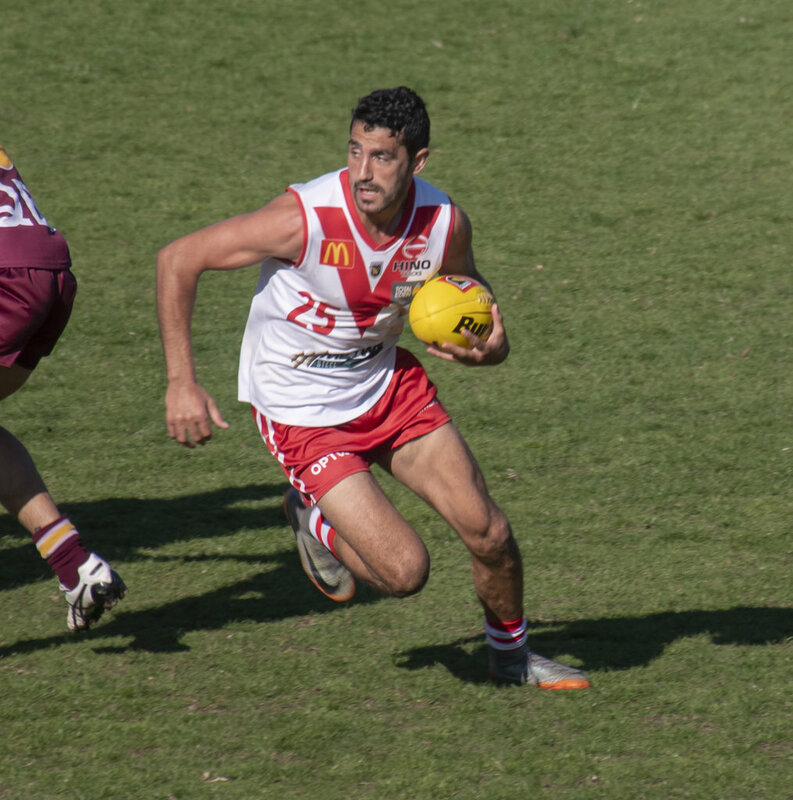 Marlion Pickett worked tirelessly for South Fremantle finishing with 25 possessions, eight marks and six tackles while also kicking two goals when he was playing deep forward in the last quarter to try and get the Bulldogs over the line. 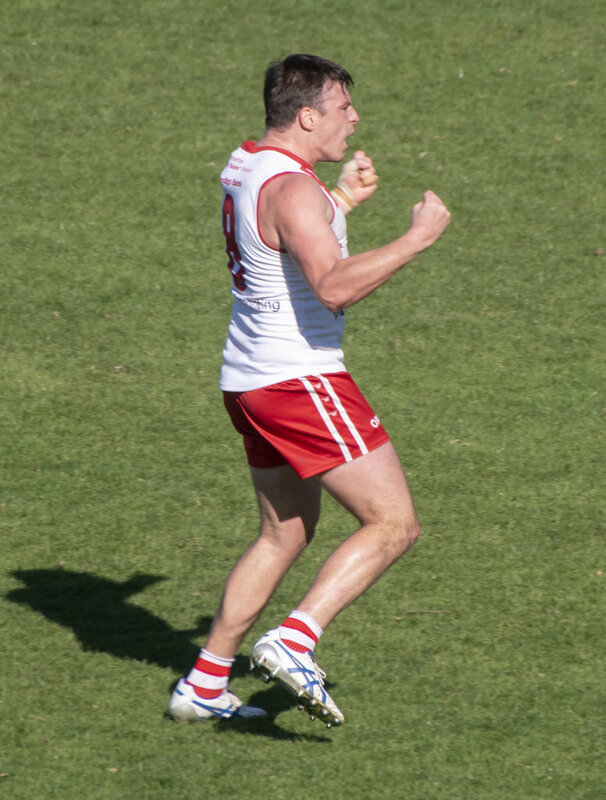 Ashton Hams also kicked two goals for South Fremantle in what will be his last ever game at Leederville Oval. Without Brock Higgins in the ruck for the Bulldogs, second-gamer Blair Della Franca (seven touches, eight tackles, 35 hit outs) and Zac Strom (14 disposals, eight marks, 10 hit outs) battled hard opposed to Zac Clarke. South Fremantle's back-line stood up impressively with Noah Strom limiting the influence of Lachlan Delahunty with Blayne Wilson doing the same with Clancy Wheeler. Shaun Bewick continued his career-best season with another 27 possessions, seven tackles, six marks and a goal with Jacob Dragovich finishing with 26 disposals, Shane Hockey 25, Dylan Main 24, Haiden Schloithe 23 and Ryan Cook 20. 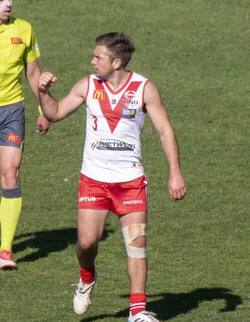 South Fremantle came into the second semi-final desperate to take the challenge up to Subiaco and even though it took over 12 minutes for the first goal, it went the way of the Bulldogs thanks to Shaun Bewick. 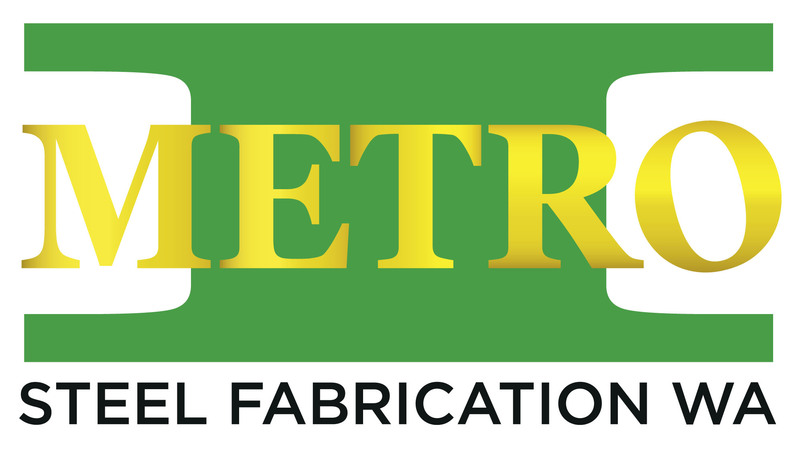 Bewick then won a contest against two opponents to set up Ashton Hams to kick another and when Cory Dell'Olio also kicked truly, the Bulldogs were on fire with the game's opening three goals. Subiaco did get on the board thanks to Kyle Halligan but South Fremantle kept its momentum going with another to Hams and then Nick Suban kicked a beauty from 50m out up against the boundary to put South Fremantle up by 23 points at quarter-time. Subiaco started strongly with two early goals in the second term thanks to Josh Deluca and Rowen Powell and then by the 13-minute mark Ben Sokol kicked one against his old team to make the margin just five points. Mason Shaw kicked his first of the day to steady South Fremantle to make it 21 goals without a miss from the Bulldogs spearhead in recent weeks. Another former Bulldog Braden Fimmano soon kicked a goal to bring Subiaco back within four points but South Fremantle went into half-time by 10 points thanks to a late goal on the run straight out of the centre from Brandon Donaldson. It was all Subiaco in the third quarter with goals to Chris Phelan, Justin Joyce, Lachlan Delahunty, Zac Clarke and then Fimmano. The Lions held South Fremantle goalless for the third quarter but they missed a host of gettable shots two with five behinds that limited their three quarter-time advantage to just 23 points. South Fremantle changed things up including putting Pickett forward in the last quarter and that led to an early goal in just a minute. When Ryan Cook goaled too at the 10-minute mark, the Bulldogs were back within 12 points. Subiaco did manage to steady through Clarke who was too big and strong at the top of the goal square. 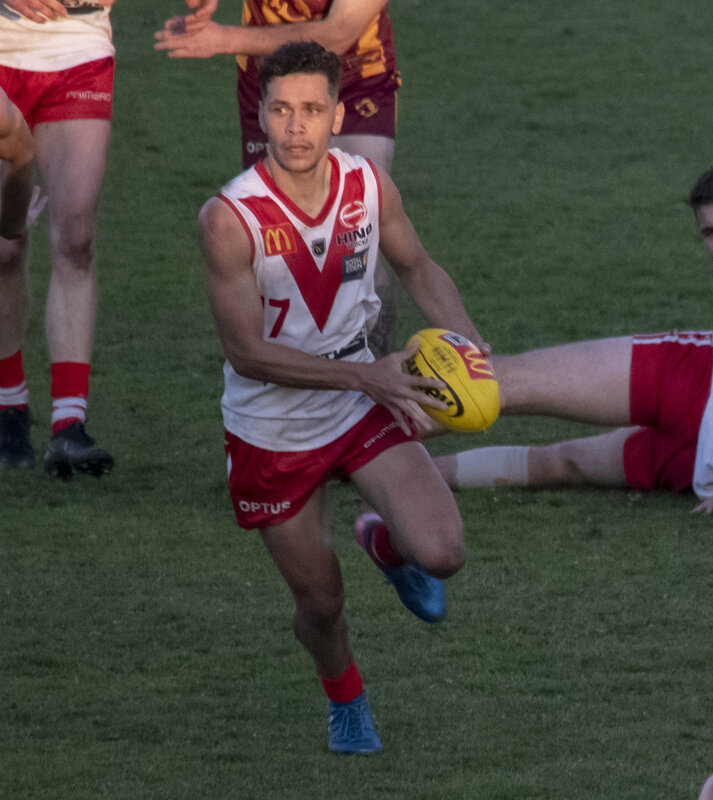 The Bulldogs got another through Pickett but the Lions answered through Halligan to win by 18 points and advance to a fifth successive Grand Final and forcing South Fremantle to have to earn their place in the big one the hard way. 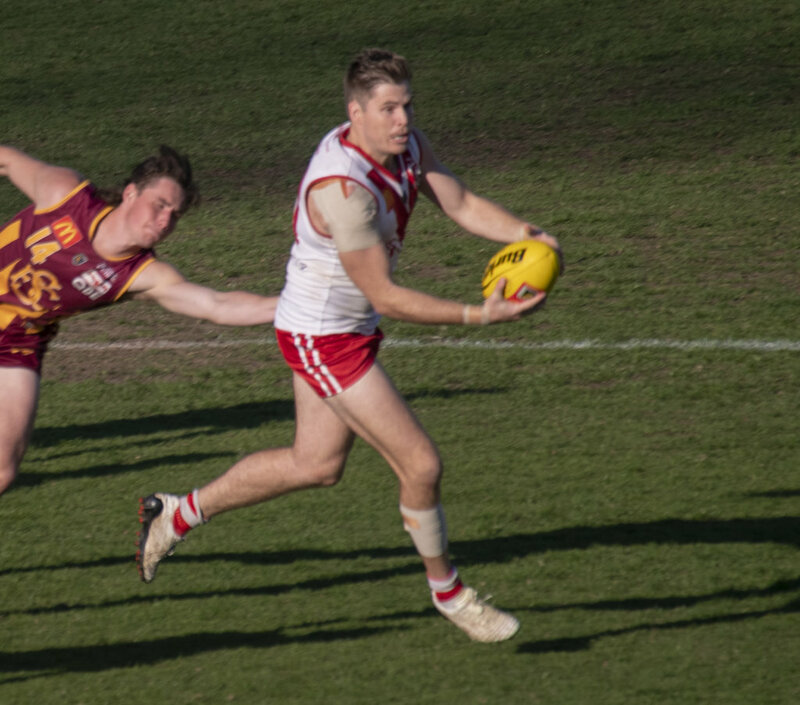 SOUTH FREMANTLE – Goals: Pickett, Hams 2; Dell'Olio, Bewick, Suban, Donaldson, Shaw, Cook. Best: Bewick, Pickett, Hockey, N Strom, Dragovich, Wilson, Main, Schloithe. SUBIACO – Goals: Halligan, Clarke, Fimmano 2; Joyce, Powell, Deluca, Phelan, Delahunty, Sokol. Best: Deluca, Kitchin, Lockyer, Horsley, Clarke, Litherland, Powell.